Shadow banking is a universal phenomenon, although it takes on different forms. In advanced economies where the financial system is more matured, the form of shadow banking is more of risk transformation through securitisation; while in the economically backward economies where financial market is still in a developing stage, the activities are more of supplementary to banking activities. However, in both the structures, shadow banking operates outside the regular banking system and financial intermediation activities are undertaken with less transparency and regulation than the conventional banking. In a sense, shadow banks are like icebergs -- more deeply spread than what they seem to be. While the role of the shadow banking generated apparent economic efficiencies through financial innovations, the crisis demonstrated that shadow banking created new channels of contagion and systemic risk transmission between traditional banks and the capital markets. Therefore, globally a need was felt to bring such unregulated entities under the regulatory architecture. United States of America passed the Dodd-Frank Act in 2010 that strengthened the arms of Federal Reserve to regulate all institutions of systemic importance. In order to put a control on the burgeoning shadow banking activities, the European Union has also put in place some measures, which inter alia include prudential rules concerning securitisation, regulation of credit rating agencies, and so on. The biggest challenge for the regulators is to gauge the magnitude of shadow banking as this landscape is continually evolving by arbitraging the gaps in the regulatory framework that otherwise seek to control them. Furthermore, unlike the banking sector, which have a very good statistical coverage, consistent database on shadow banking is not available given the heterogeneous nature of shadow banking entities, instruments and activities. The type of entities which are called shadow banks elsewhere are known in India as the non-banking finance companies. Are they in fact shadow banks? No, because these institutions have been under the regulatory structure of the Reserve Bank of India, right from 1963 i.e. 50 full years before many in the world are thinking of doing so. In the wake of failure of several banks in the late 1950s and early 1960s in India, large number of ordinary depositors lost their money. This led to the formation of the Deposit Insurance Corporation by the Reserve Bank, to provide the necessary safety net for the bank depositors. The Reserve Bank did then note that the deposit taking activities were undertaken by non-banking companies also. Though they were not systemically as important as the banks, the Reserve Bank initiated regulating them, as they had the potential to cause pain to their depositors. Later in 1996, in the wake of the failure of a big NBFC, the Reserve Bank tightened the regulatory structure over the NBFCs, with rigorous registration requirements, enhanced reporting and supervision. The "NBFCs" of India include not just the finance companies, but also a wider group of companies that are engaged in investment, insurance, chit fund, nidhi, merchant banking, stock broking, alternative investments etc. as their principal business. NBFCs being financial intermediaries are playing a supplementary role to banks. In short, NBFCs bring the much needed diversity to the financial sector. 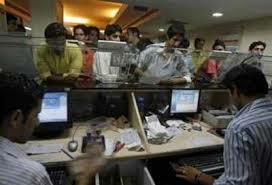 Some of the regulatory measures include identifying systemically important non-deposit taking NBFCs as those with asset size of Rs 100 crore and above and bringing them under stricter prudential norms (CRAR and exposure norms), issuing guidelines on Fair Practices Code, aligning the guidelines on restructuring and securitization with that of banks, permitting NBFCs-ND-SI to issue perpetual debt instruments, etc. Just as the shadow banks (i.e. the NBFCs) in India are of a different genre, the dangers posed by them are also of different genre. There are law related challenges: i) there are a number of companies that are registered as finance companies, but are not regulated by the Reserve Bank; (ii) there are unincorporated bodies who undertake financial activities and remain unregulated; (iii). there are incorporated companies and unincorporated entities illegally accepting deposits. As the entities, especially the unincorporated ones, can sprung in any nook and corner of the country and can operate with impunity unnoticed, but endangering their customers interest, we need arrangements and structured for effective market intelligence gathering. Empowering law and gathering intelligence by themselves are not sufficient. Enforcement of the law is a challenge. To summarise, the shadow banks in India (i.e. the NBFCs) are of a different type; they have been under regulation for more than 50 years; they subserve the economy by playing a complimentary and supplementary role to mainstream banks and also in furthering financial inclusion. Yet, they do pose dangers, but of different variety; it primarily relates to consumer protection. It is the constant endeavour of Reserve Bank to enable prudential growth of the sector, keeping in view the multiple objectives of financial stability, consumer and depositor protection, and need for more players in the financial market, addressing regulatory arbitrage concerns while not forgetting the uniqueness of NBFC sector.